August | 2015 | Mediascope, Inc. Variable Data Printing (VDP) is important to marketers because it enables them to articulate a special message in a particular way to potential customers. In other words, Variable Data Printing allows marketers to drive the customer relationship. 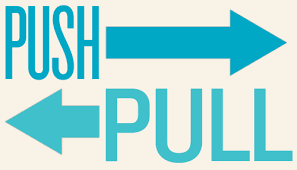 VDP gives marketers the option of applying a push or pull strategy. Push marketing (outbound marketing) refers to pushing information out to the customer. Direct mail is one example. Push marketing is driven by the vendor. Pull marketing (inbound marketing), in contrast, is driven by the customer. The customer pulls information about the products in which he or she is interested. For example, a car dealership might have a Web site where customers can select the information they want to receive about a certain car model. The customers’ choices are entered into a database from which VDP can create a personalized brochure for mailing. The two strategies are often used in tandem. The car dealership can obtain databases of potential customers within its geographic area (see last week’s blog on the Ins and Out of Using Mailing Lists) and push advertising about the latest car models to them through a direct mailing. For example, the car dealership can use information in the database about the customers’ family size and advertise features most likely to be attractive to them such as SUVs and wagons for families with children, and sports cars to single males. The value of using variable data printing with pull marketing is that it makes pull marketing far more cost-effective. The value of push marketing lies in making potential customers aware of a vendor and in enticing them to take the next step toward purchasing products from the vendor. Push marketing is often an initial contact in which customers receive information that encourages them to take some action. Potential customers who respond to the push marketing can be given an opportunity to pull more information, as in the example of a car dealership with a Web site. By specifying the information they want about a new car, potential customers identify themselves as likely customers who already have a sense of what they want to buy and have taken a step toward a purchase from the vendor. The value of using VDP with pull marketing is that it is more cost-effective than push marketing. The customer has already targeted himself or herself, and the vendor prints a brochure only for a customer who is already interested in its product. The vendor provides more of what the customer is looking for and less of what they have no interest in. Next week, we will look a little closer at this by looking at variable data printing and one-to-one marketing. The key to a successful marketing campaign is getting your message to the right people. How do you expand the number of people you’re contacting or reach out to an entirely new market? One option is to use a mailing list generated by a list company. Geographical Area: When you buy a mailing list, the first thing you want to do is to define the geographical area you wish to target. 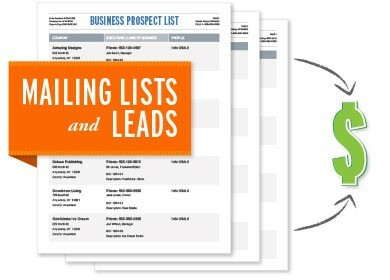 Targeted mailing lists are proven to increase response rates. Define your direct mailing list by state, county, city, SCF, zip codes, or even by radius. Demographics: Think targeted marketing when determining which demographics to use for your mailing list. Who are your best customers? A direct mailing list performs better when you target your prospects based on the demographics of your current customers. Define your mailing list by age, income, gender, length of residence, interests, memberships, and any other attributes desirable to your campaign. Append Telephone Numbers: In today’s world of multi-channel marketing, consider adding phone numbers to the list. You will pay more but you will have another way to reach your target audience. Pricing & Method of Delivery: The demographics you choose usually determine your pricing. Once you make your purchase, most companies offer several methods of retrieving the mailing list: 1) a downloadable file directly from your account with the list company; 2) a file sent via email; 3) files sent on a CD; or 4) printed labels. Pricing may vary by method chosen. Accuracy: How new is the list? Has it been recently refreshed? Does the company offer a guaranteed percentage of deliverable addresses? Price: Pricing varies by provider. Price shouldn’t be the only consideration, however, as an old list that hasn’t been refreshed in years won’t provide good results. Type of List: Are you looking for a residential or business list? Consumer? Educational? Companies may specialize in the type of lists they provide. Usage: Is the list a one-time use only list, or can you use it as many times as you want within a specified time period? Make sure you understand the terms of the list usage before making your purchase. With so many list companies to choose from, how do you know which company to use? At Mediascope, we have developed relationships with a few key providers based on their service, prices, and accuracy of mailing lists. Contact us at 507-452-5555 and we will gladly help you find the right list for your next mailing project. When most people think of putting together a direct mail piece, they think of using a database consisting of name, address, city, state and zip code. But what else do you know, or should you know, about your customers? What if your database of customer information included their purchases? Their birthdays? Family members’ birthdays? Interests and Hobbies? If you have that (or other) information, you can send out direct mail pieces targeted specifically to your customers. How about sending a postcard suggesting a matching piece to something they already bought? A discount in honor of a birthday? Suggestions and/or discounts in areas of interest? Last week, we published an article on Variable Data Printing (VDP) basics. As we said in the article, your database is the key to VDP. VDP is limited only by your database. Just as ink, type, and paper are components of printing, consider information from databases as another — and very important — type of component found in variable data printing. A database is simply an electronic file that contains records of information organized in a particular way. For VDP printing, the database stores text, graphics, and images much the same way a file drawer does — only electronically. Databases are organized in two ways: 1) by records and 2) by fields for each record. Each record has a predetermined number of fields. In a database about people, each person would be a record. The information for each person would be categorized into fields. A simple database about people, for example, might have fields for each person corresponding to their first name, last name, address, and phone number. The familiar telephone directory is an example of such a database. Likewise, a car dealership might keep a database listing the cars in its inventory, along with the model, year, and features for each car. A more complex database includes fields such as previous purchases, family information, income level, interests and hobbies, and so on. Typically, databases store both the static and the changeable (or variable) elements used in variable data printing. A VDP printed piece can pull information from one or several databases. Variable data software pulls these elements from the databases according to predefined rules to create pages and documents that contain different images, text, and even layouts. Information in databases is usually manually entered. In the case of a telephone directory, someone typed in all the information. In more complex databases, such as those used by enterprises to manage customer relations, the information is gathered in different places by various computer programs that feed data into a central database. The separate programs might cover different areas of customer contact, such as from the call center, off the Web site, through field service, and from sales activity. There are many computer programs designed to handle databases. Familiar desktop programs include Filemaker Pro and Excel. In an Excel spreadsheet, each row corresponds to a record, and each column identifies a field. One column would contain all first names, for example, and another, all last names. More powerful enterprise systems include products from Oracle, Sybase, SAP, and Siebel. These store large amounts of information and cross-reference them in many ways. The vast majority of VDP projects, however, require nothing more than a spreadsheet. There is no such thing as too much data when it comes to customers. You can’t target specific audiences without having the right information. It’s important to periodically review what types of information you are collecting to ensure you are capturing the information you need for current and future marketing strategies. Mediascope can help you clean up and maintain your database by removing redundant or obsolete information, or extracting relevant information. Next week, we will talk more about ways of cleaning up data and adding to your database using information from list companies. At its simplest, Variable Data Printing (VDP) is the use of digital technology to link printing equipment to databases containing content such as text or graphics. During the printing process, computer applications take content from the databases and integrate it into a document according to rules specifying usage. As a result, whether a print run quantity is 10 or 10,000, VDP makes each piece different by changing the information. The value of Variable Data Printing comes from its ability to support customized printing and make it efficient and economical. 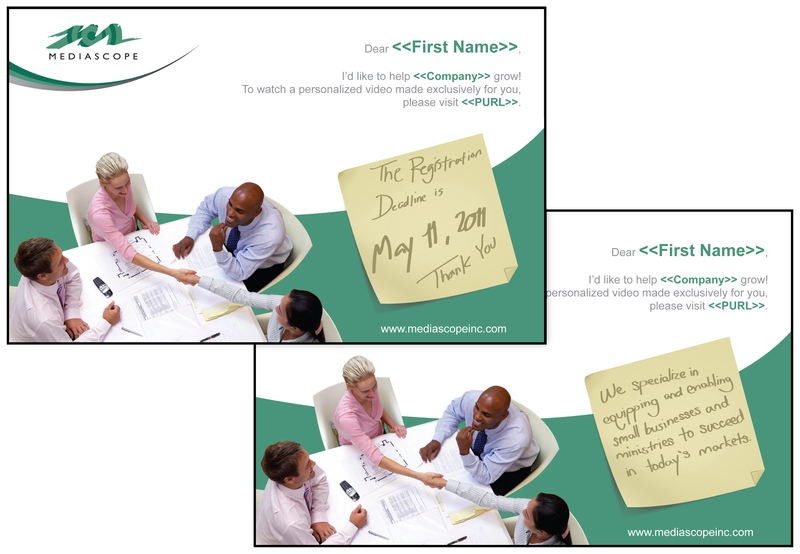 Customization increases the document’s attractiveness and greatly improves the effectiveness of the message it contains. Because the database contains information specific to the audience of the printed document, the document is customized in ways that hold special appeal to the audience. Variable Data Printing today is light years beyond the bland, unsophisticated direct mail of the past. It is much more powerful than it was even a few years ago. Today, it can dynamically assemble four-color images, charts, text, and other objects to create attractive, highly customized documents. There are three general levels of variable data customization, and all three levels start with at least a basic layout template that is common to all of the pieces. The template defines which elements are static and which are variable. The static elements will remain unchanged across all pieces. The variable elements change for each individual piece, however, as determined by information contained in the accompanying databases. Basic Customization: The lowest level of Variable Data Printing is Basic Customization. At this level, only the name and salutation of the recipients are variable, and no graphical elements of the printed pieces change between pieces. The “Mail Merge” feature of Microsoft Word which allows users to connect their document to an Excel spreadsheet of names and addresses is one example of basic customization. While the names and addresses change from piece to piece, the layout and content of the message remains the same across all printings. This most basic form of VDP has been readily available to most companies for several years and produces the lowest response rates of the three levels because of the low amount of customization. Versioning: The second level of Variable Data Printing is Versioning, and consists of several pre-designed layouts that are selected based on variable criteria. In a national mailing, a unique layout could be designed for each state and the correct layout is automatically selected for each recipient, assuming the database contains the state of residence information for each record. Versioning usually produces a higher response rate than Basic Customization, but lower than Full Customization. Full Customization: Individual components throughout the entire piece are customized by multiple different criteria, often times contained within multiple databases. Images, text, and layout structure are customized for each recipient in the entire mailing list, maximizing relevancy for the readers, and consequently returning the highest response rates. At this most advanced level, marketers can experience the full potential of Variable Data Printing. These are the major elements found in a typical variable data printing project. Database: For most variable data printing, a simple table containing the copy, graphics, and photographs that will be varied in the printed document is adequate. 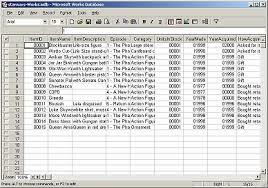 Such database tables are created in applications such as Microsoft Excel. Databases drive the effectiveness of VDP so we will talk more about them in a future article. Rules: These are rules that specify what variable content to use and where to place it. Content: Both static and variable content are created with a variety of software: text with word-processing software, photographs (taken with a digital camera or input using a scanner), graphics created from graphics software, and so on. Layout: The layout for the document is created by using common desktop publishing or word-processing software. It must be designed to accommodate variable text and images. VDP application: Software that “merges” content and prepares the document for printing. Here at Mediascope, we offer full variable data printing capabilities. Watch for more information on VDP over the next few weeks as we explore the importance of great databases and the benefits of variable data printing in marketing.